The MHP Investors Council is a professional network of businesses and organizations involved in the affordable housing industry that support the important work of MHP. If your company plays an important role in the affordable housing industry, you already benefit from MHP's work. Thank you to all who supported our work in 2018! Please consider joining or renewing for 2019. View our current member list. 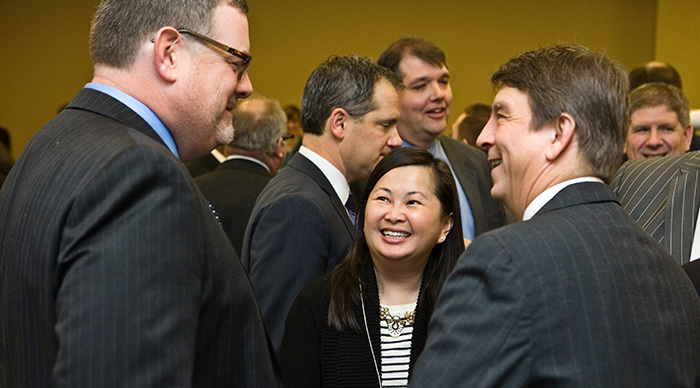 The MHP Investors Council, a cross-sector network of affordable housing industry leaders who participate in MHP's work, hosts three exclusive member breakfasts each year. Housing industry leaders owe it to themselves, their peers, and their stakeholders to help support MHP by becoming a member of the MHP Investors Council. Your Investors Council membership will bolster MHP's ability to continue this crucial work. Memberships are annual and begin on October 1st, corresponding with MHP's fiscal year.